In this episode Jason continues the series that discusses the Doctrines of Grace. 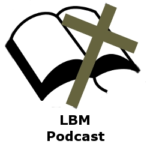 In this episode we focus on the doctrine of Limited Atonement (Particular Redemption). This doctrine teaches that the atonement of Christ on the cross was intended for and applied to the elect of God. It means that Christ completely saved certain individuals at the cross. The atonement was particular in its intention and effect but sufficient for all. This doctrine does not teach that Christ’s sacrifice was incapable of saving all people but that it was not intended for all people. In this episode Jason continues the series that discusses the Doctrines of Grace. In this episode we focus on the doctrine of Unconditional Election. This is the doctrine that God has predestined and elected before time began a particular people for salvation that is not based on anything that they have done. In this episode Jason continues the series that discusses the Doctrines of Grace. This episode focuses on the depravity and inability of man, this is the doctrine that corresponds to the T in TULIP known as Total Depravity. We discuss man’s deadness in sin and enslavement to sin. We delve into what Scripture says about this topic. In this episode Jason begins the upcoming series that discusses the Doctrines of Grace. This episode focuses on the Sovereignty of God and his right to rule and do as He pleases. We delve into Scripture and discuss the Biblical attributes of God. The Sovereignty of God must be the foundation to our understanding of Salvation, our understanding of theology must always start with God not man.